Approximately 80 people were present for the awarding of 12 scholarships totaling $13,750 at the 2019 Scholarship Banquet held on March 18 at our Lodge. Serving as emcee for the evening, Scholarship Chair Dave Norwine announced each student receiving an award and shared with the audience a recap of that student’s accomplishments including their community service, their school and community involvements, leadership positions held, and honors and awards received. Receiving $1,000 Lakeland Lodge Legacy Scholarships were Adele Barski, a senior at Johnson Ferry Christian Academy in Marietta, Georgia, who is the granddaughter of Lodge member Ed Barski; and Lauren Musselman, a senior at George W. Jenkins Senior High School and the granddaughter of Lodge member Janet Bentley. Receiving $1,000 Lakeland Lodge Scholarships were Hannah Womersley from All Saints Academy in Winter Haven, Abby Branham from Lakeland Christian School, Demetrius Rasmussen from Mulberry Senior High School, and Gabrielle Snyder from International Baccalaureate at Bartow Senior High School. Receiving $1,250 Lakeland Lodge Scholarships were Jasper Montgomery from International Baccalaureate at Bartow Senior High School, Parrish Westmoreland from Bartow Senior High School, Anthony Amato from Winter Haven Senior High School, Jacquelin Flores from Mulberry Senior High School, and Olivia Potthast from Chain of Lakes Collegiate High School in Winter Haven. Elizabeth Gonzalez, a senior at International Baccalaureate at Bartow Senior High School received a $1,500 Scholarship from our Lodge. At the close of the Awards Ceremony, Norwine announced that five of our 2019 recipients – Gonzalez, Potthast, Flores, Amato, and Rasmussen – made it through district judging to the state, but, unfortunately, were not selected to receive national awards. Exalted Ruler Vicki Baker welcomed the students being honored and their families to Lodge 1291 and reviewed for them the scope of the Lodge’s other charitable activities (Veterans programs, Boys & Girls Club programs, and sponsorship of the Brotherhood Ride). Vicki also presented each of recipients their certificates and awards. In closing the evening’s program, Norwine acknowledged the school administrators and counselors present and thanked the students’ parents for all their support, encouragement and sacrifice that enabled our scholarship recipients to have distinguished and service oriented high school experiences. Front Row L-R: Hanna D. Womersley, All Saints Academy, Winter Haven; Jacquelin Flores, Mulberry Senior High School; Lauren A. Musselman, George W. Jenkins Senior High School; Olivia M. Potthast, Chain of Lakes Collegiate Senior High School; Elizabeth Gonzalez, International Baccalaureate Bartow High School; Jasper L. Montgomery, International Baccalaureate Bartow High School; Vicki Baker, ER. Last night was our first Tuesday Night Darts Clinic. Ten individuals attended and were thrilled with the coaching and mentoring received! Thank you to our coaches of week one: JC, Mac and Rick. Coaches will change on a week to week basis. Darts Clinics are weekly on Tuesday evenings from 6:30 pm to 8:30 pm with the exception of meeting night (third Tuesday of the month). There is NO CHARGE, simply BYOQ (Bring your own quarters). Coaching is available on a first come, first serve basis and no sign up is required. Would you like to learn from the experts? Don’t let your skills get rusty after the season ends! If you are interested in being a coach/mentor, please let me know! Next week Denise will be joining JC and Mac as a coach and sharing her tips and tricks for topping the darts charts. I had the opportunity to benefit from her dart knowledge last night so C-League, watch out! If you have any questions, feel free to email, call or text me! Spread the word to the newbies or those who would like to play darts but don’t know how as well. The Darts Clinic goals are to assist those who would like to play better and teach those who don’t know how to play. We also had quite a few spectators in the lounge, so check it out on Tuesday of next week! I hope you can join in the fun! Remember; the Antlers pages are now in the Members Only Section and are password protected. Contact the Lodge Secretary for the password. Once again we are hosting The John Necessary Memorial Golf Tournament as the primary fund raiser for our Lodge 1291 Scholarship Fund for area high school seniors. 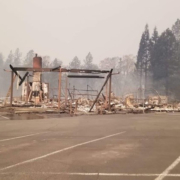 The Golf Tournament will be held on Saturday, February 16, 2019 at the Huntington Hills golf course. The format will be a 4-person scramble with a shotgun start at 1:00 pm. Price includes Green Fees & Cart plus Prime Rib Dinner at the Lodge. Extra dinners are $20.00 per person. Dinner served at 7:00 pm. Prizes will be awarded at the Lodge, along with an auction to support our Scholarship Fund. Registration forms are now available at the bar in the lodge and on the Lodge website. (Click Here) Additional dinners are available for $20. All registration forms along with the money for the outing are due at the lodge no later than Monday, February 13th. Hole sponsorships are also available for $100.00. If interested in being a hole sponsor, sponsor forms are available at the Lodge. Non-golfers are welcome to support the Lodge’s Scholarship Program by making a donation to the Lodge Secretary and designating it for the Scholarship Fund. We have 28 slots available for this year’s event. The first 28 Teams to return both a Registration Form & payment will secure a slot in the field. The next dart season starts in just two weeks on Jan 10th. I am sending an email out to all that have played in the last 4 years or so that might be interested in playing in our Fall 2019 Season. I have some info on new players and existing team changes. If you played last season and are playing this season there is no need to respond. If you are rejoining the league, new to the league, have changes to your team, or are not playing next season please respond to me only. Also if you know of anyone that did not receive this email and might be interested please forward the email and my info to them. If you are interested in playing but don’t have a partner or have any questions please respond to me only as well. We should be able to find you a partner. I plan to have a final roster established in the next week. I will send out a confirmation email of players next Thursday and have the start of our 2019 schedule done by Tuesday the 8th. I do not know what the rosters will look like yet but it is likely we will continue with the 3 division format that we used last season. Because we are not having a pre-season meeting please feel free to send any comments/complaints, suggestions or recommendations to me. We will do our best to address each issue appropriately before the start of next season. We are looking forward to a great season. Good luck to all. Update: The date for submitting applications has passed. Selection is now taking place. Good luck to all. 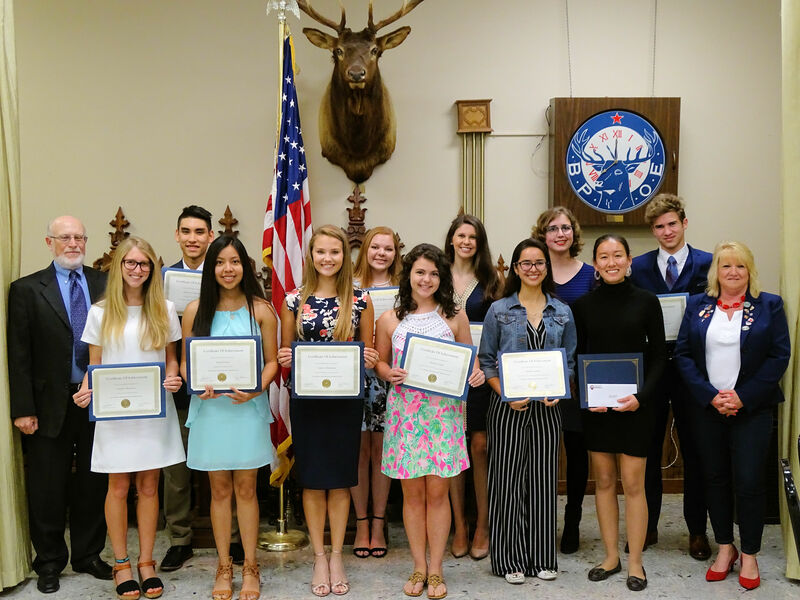 Both the Elks National Foundation’s and our local Lodge1291’s Scholarship Programs are underway. To access both of these programs, high school seniors should contact their school ’ s guidance counselors and work with the guidance staff in completing their applications for the 2019 Most Valuable Student (MVS) Scholarship Program. All applications are to be completed online by accessing them at enf.elks.org/mvs. Within the body of the application, students can select which of the five (5) closest lodges to their home address they want to receive their applications. PLEASE INFORM ANY STUDENTS YOU KNOW, ESPECIALLY THOSE IN YOUR FAMILY, TO DESIGNATE LAKELAND LODGE 1291 TO RECEIVE THEIR APPLICATIONS. The deadline for making application to the MVS Program is November 15, 2018. If any member of Lakeland Lodge 1291 has a child or grandchild who is a high school senior planning to attend a college or university next year (2019), please have them complete a MVS application as explained above. I am also asking that you let me know that your child or grandchild is applying by dropping me an email at djnorwine@gmail.com. If your child or grandchild attends a high school outside the Lakeland area, please let me know that as well because special provisions need to be made to get a “hard copy” of their application to our local Scholarship Committee for consideration. 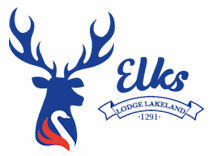 In addition, children and grandchildren of active Lakeland Lodge members can also apply directly to the Elks National Foundation (ENF) for a Legacy Award. THIS IS SEPARATE FROM AND IN ADDITION TO THE MVS PROGRAM AND OUR LOCAL LODGE’S PROGRAM. Legacy applications are also done online at enf.elks.org/leg and the deadline for Legacy applications is February 1, 2019 at 11:59 a.m. Central Time. Support the Elks supporting October Breast Cancer Awareness Month. 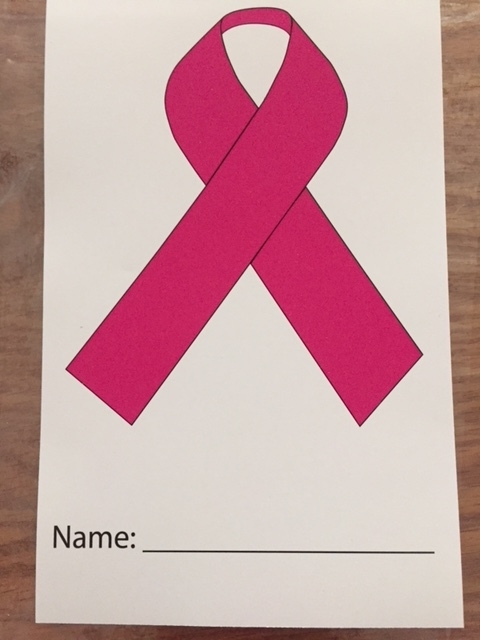 Pink ribbons, only $5.00 on sale now at our Lakeland Elks Lodge. See Sher or your bartender. 4th Annual Breast Cancer Awareness Event will be held at the Lakeland Elks Lodge, BPOE, on Harden Blvd. This event is Open to the Public. FIRST PITCH: 1:10 P.M. Bus leave the Lodge: 10:00 A.M. – Return to Lodge 6:30pm. This is a Harry Anna fundraiser for our lodge. The rays donate $5 of each ticket we purchase goes to HA in our lodge’s name. We need 25 to break even on the bus. Any more will be more money for Harry Anna.